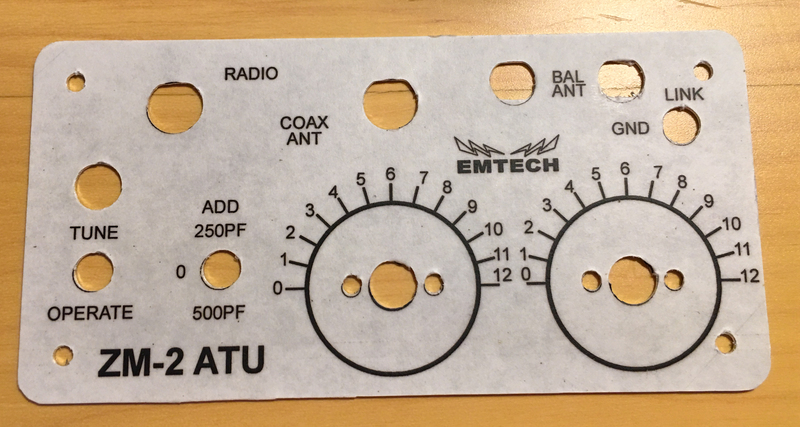 After buying a WSPRLite I decided I needed a QRP antenna tuner. 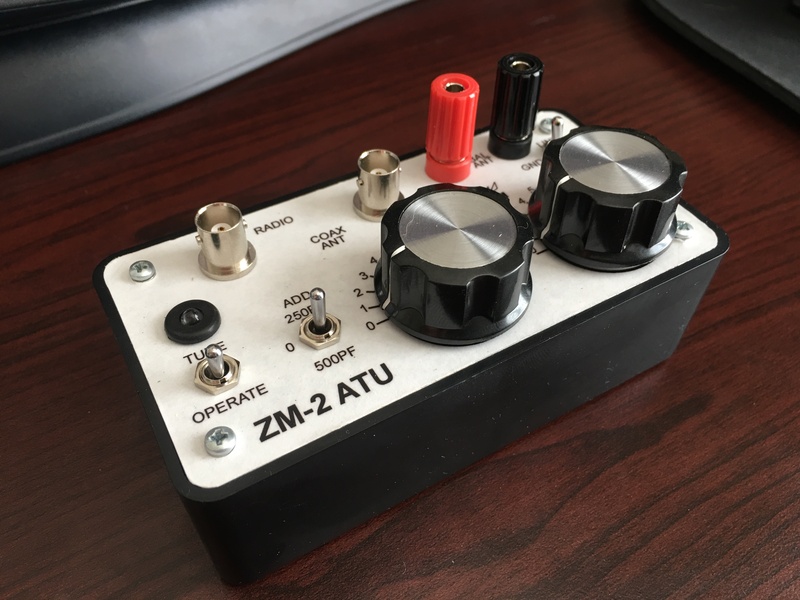 I was first looking at the QRP Kits SOTA tuner, but after a recommendation I took a look at Emtech’s ZM-2. I looked at a couple others, but after reading a bunch of Eham.net Reviews, the ZM-2 looked to be the best choice for me. 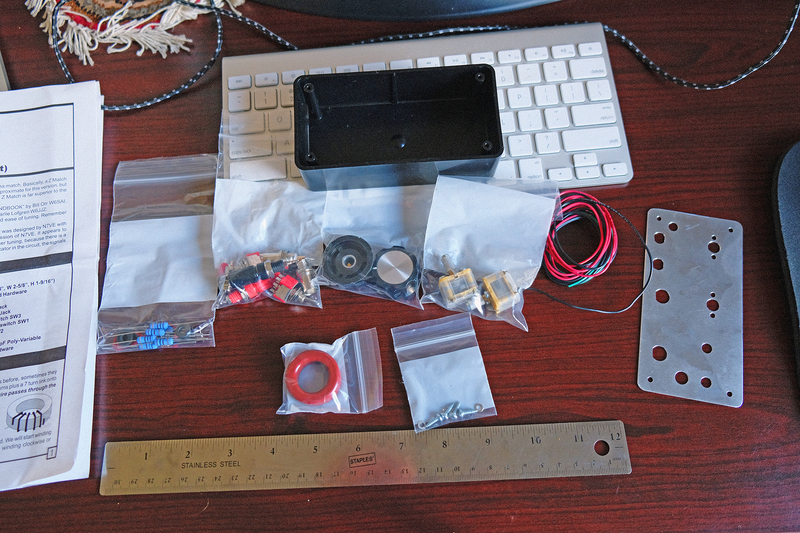 The ZM-2 comes as a relatively easy kit, so what follows are some pics of my build. 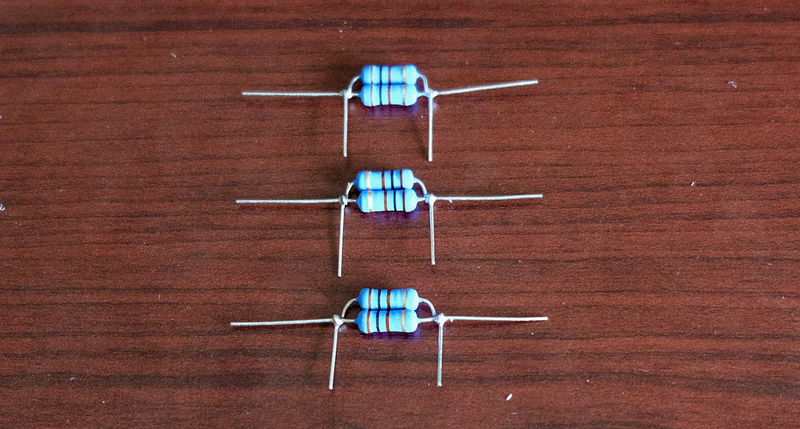 I followed the instructions and the video advice from W5CYF. 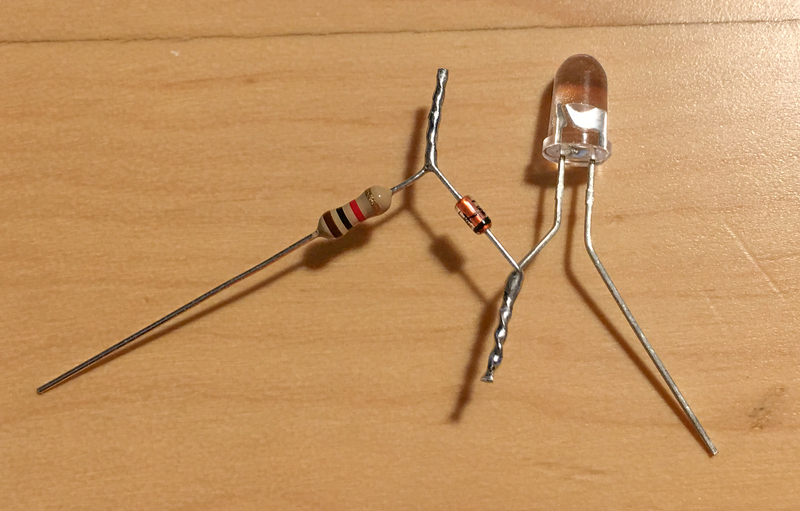 Keep in mind, I’m not very good at soldering… yet, so be kind. Start by winding the toroids. This was an easier process than I thought it was going to be. Even the little one, I was a bit concerned that I was going to snap the little wire, but it snugged up nicely. 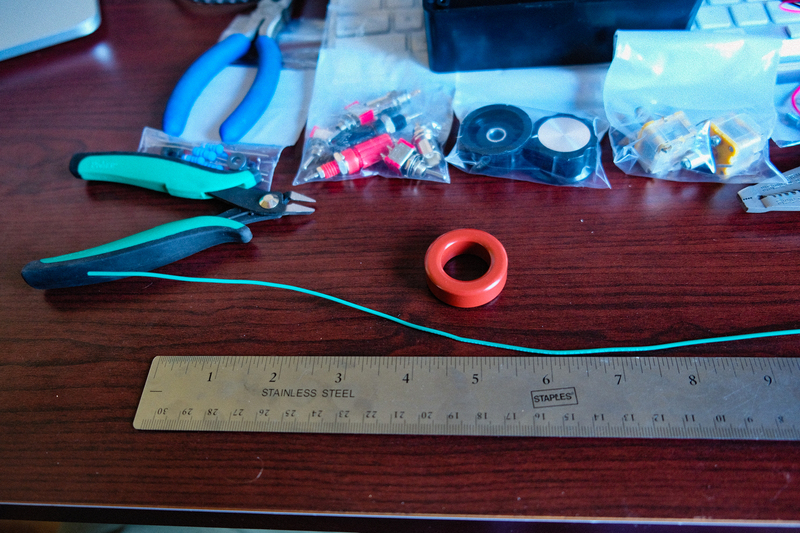 I gotta say, I don’t like soldering the heat removable coating on the little wire. I was never sure it was hot enough to melt and get a good connection. 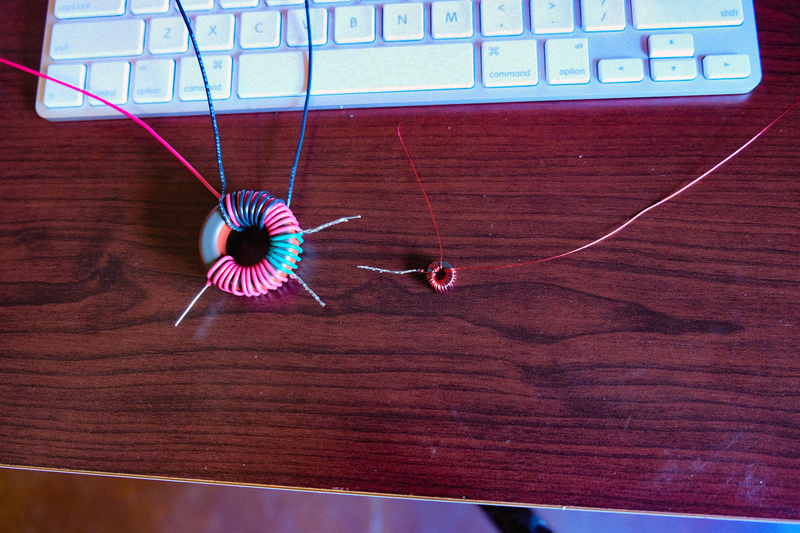 I also read the instructions wrong and didn’t leave enough red wire on the large toroid, and so had to create a pigtail for that end. 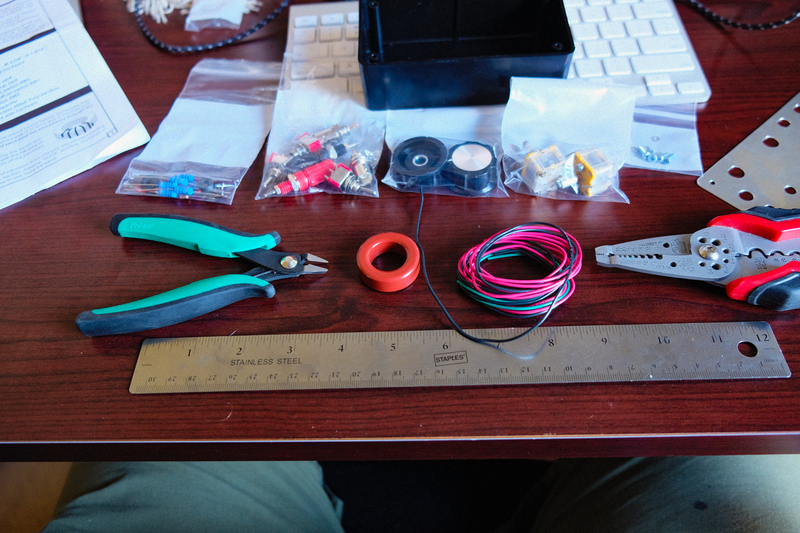 There was plenty of wire in the kit, so that wasn’t a problem in the end. 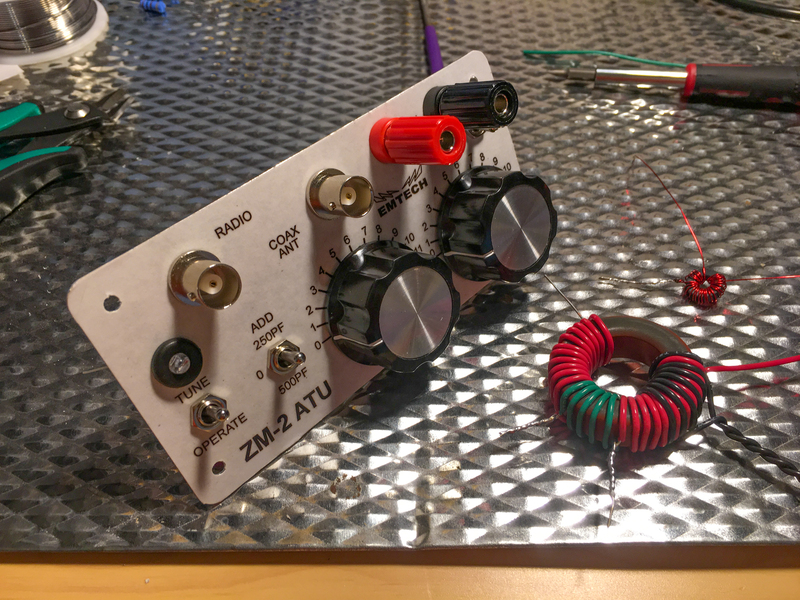 I ended up having to go buy some helping hands and a head mount magnifier to do this part, which worked out for later parts as well. My eyes ain’t what they used to be apparently. Attaching the front face decal, after spraying 4 coats of Krylon. Here are the switches, connectors, and variable capacitors installed. 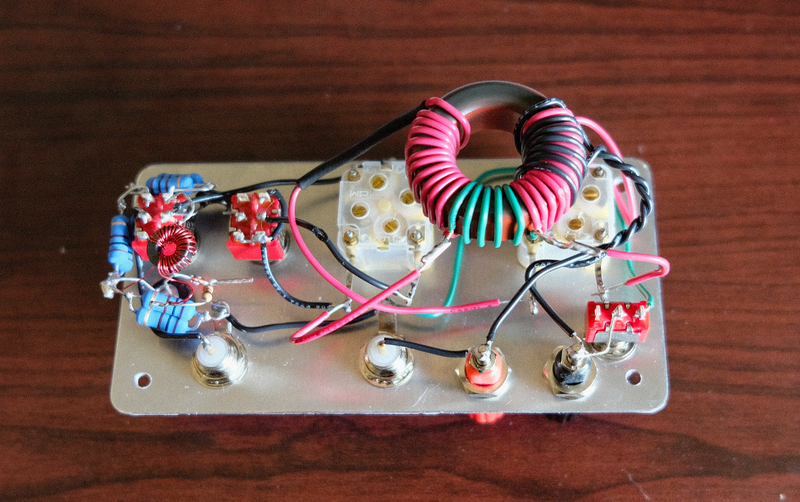 If you build one of these, don’t attach the right poly cap knob until after you screw the faceplate into the box. The right-bottom screw ends up being under that knob by half a screw width. 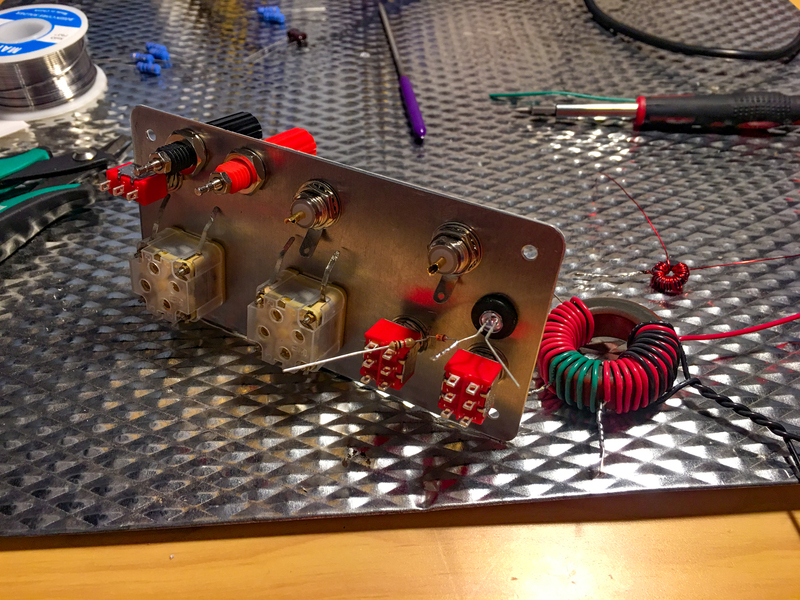 The area near the two main switches was a bit fiddly and mine looks ugly, but there’s no shorts. It seems to work, but there’s some issues I don’t understand yet. I put out an email to Emtech, but never got a reply. I’ll try calling them. Y’all can expect a video of it in action in the very near future. Great tuner. I have even purchased a few poorly built ones and they all worked well. Rebuilt them anyway as that is just ME. Also, great blog and well done videos. Thanks. Will stay tuned for more. Thanks Dave. We weren’t sure anyone was really reading/watching us. HAHAHA. I guess we’ll have to keep going then. Really thrilled you liked it! Thanks for letting us know.